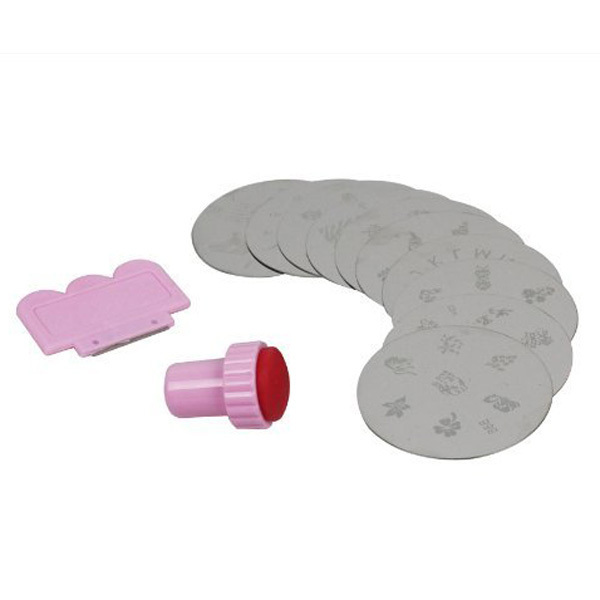 Nail Art Polish Stamping Manicure Kit- 1 Plate Set with Stamper and Scraper by Salon Designs: This professional set includes 10 unique plates, scraper, and stamper- everything you need to create your own beautiful nail art. 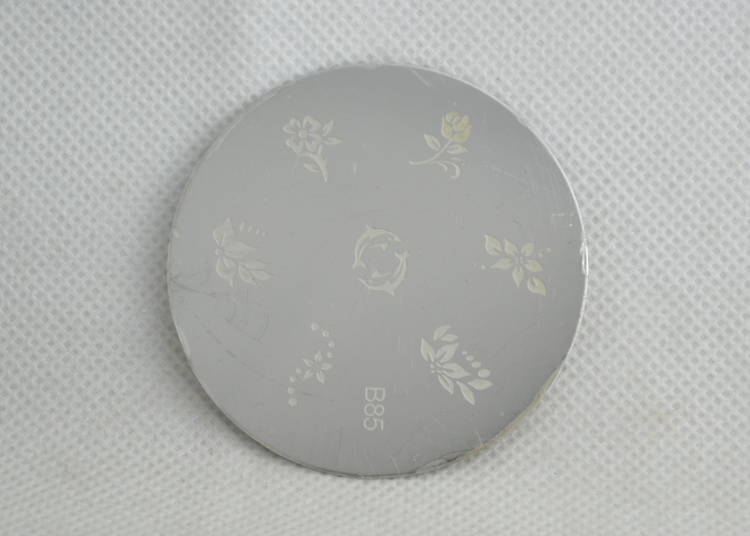 Each stainless steel plate features 6 to 10 designs and comes with a protective blue film. 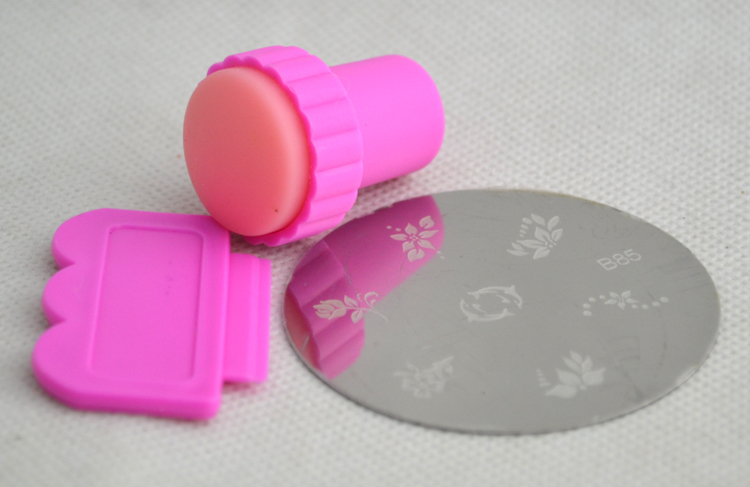 This kit saves you time and money- no more trips to the salon! 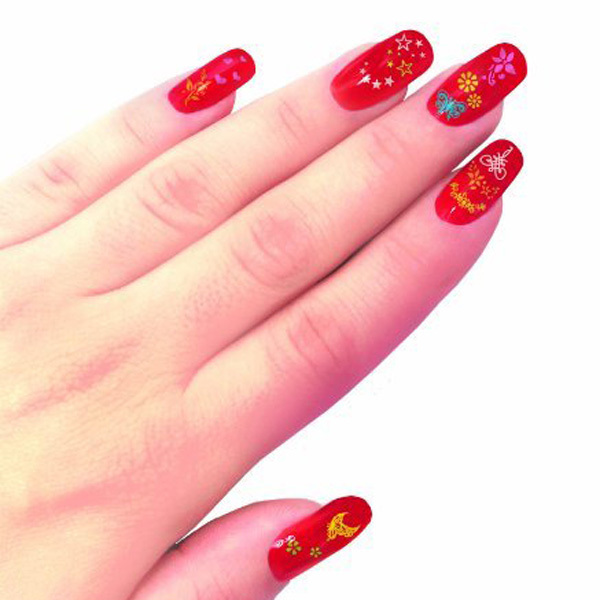 Includes a mix of individual images, full nail, and french tip designs.